VR headsets let us step into some of our most favorite and iconic fictional worlds. I can stand at the edge of High Hrothgar, peering down at the rolling landscapes of The Elder Scrolls V: Skyrim or fight off demons in Doom VFR. In Japan, you can pilot a Gundam or try your hand at DBZ VR, Dragon Quest VR, Mario Kart VR, and more VR Zone at Shinjuku. You can even gun down Stormtroopers with Secrets of the Empire from The Void. Then why not more anime VR experiences? If it works for DBZ, surely it can work for others. 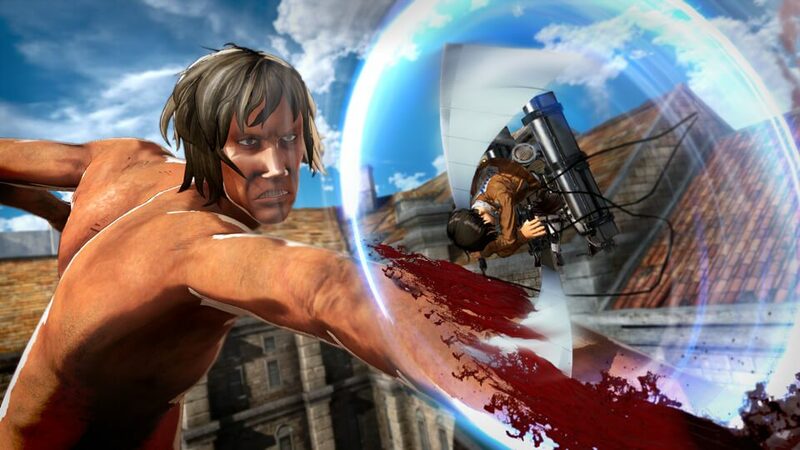 We’re still a ways off from a real Sword Art Online VR MMO (Nostos is making some steps in the right direction), but until then the likes of Attack on Titan VR will certainly hold us over. Above: Attack on Titan VR rigs. As you can see in the image above, the rigs are setup side-by-side with fans, and it looks a lot like Vive Pros dangling there at each station. Attack on Titan VR is getting a location test in Tokyo at Ginza Sony Park from October 19 to October 26. Does this look like something you’d want to try? With Mario Kart VR available in London already and coming to the U.S. soon, maybe more location-based VR experiences from Japan will start making their way to the West over too.